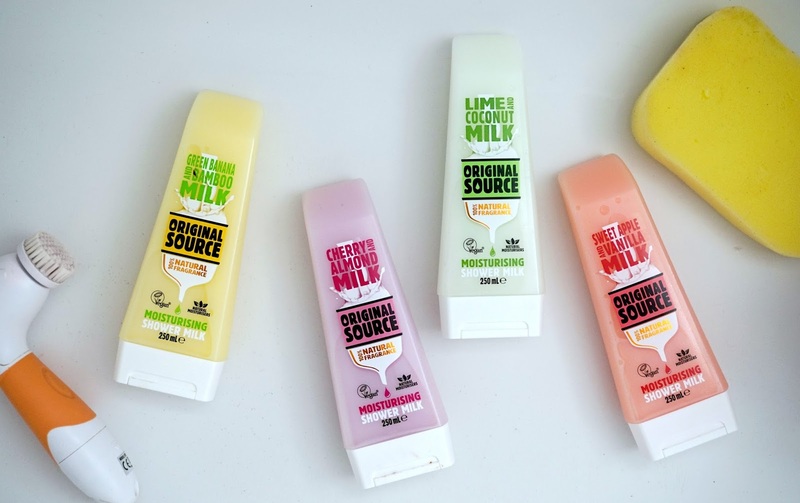 Hello lovelies, so today I have a post for you about these new moisturising shower milks from Original Source, look how gorgeous they are, those pastel colours. I'm struggling to find loads of words to build up a post on shower milk though as we all know what we do with it right? Lather it on to our bodies to make us smell good, they smell SO good though, my favourite being the cherry and almond milk one, I smelt like a battenburg cake when I got out the shower the other night, good enough to eat! I also love the sweet apple and vanilla milk one although they all smell lovely those two have to be my favourites. They are super affordable, although they don't lather as much as their gel range this can be forgiven for the way it makes your skin feel afterwards, it doesn't feel like its stripped your skin or leaves any sort of film on the skin it just makes you feel smooth as well as smelling fantastic. I've really enjoyed trying all of these out and so has my eldest child, he said mummy they smell amazing. 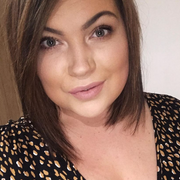 I like to put a blob of my shower milk on my sanctuary body brush and buff it into my skin if I'm in the shower, I'f I'm in the bath I will lather it into the sponge and soak it all up, my body thanks me for it afterwards plus if you're quite lazy at moisturising every day/night after a shower or bath you don't need to with these which I love, I never like to moisturise every time I've come out of the shower so it's saved me a job I can get straight into my pjs and into bed. A fantasic foursome of fruity milk shakes that you need to add to your shower! I love this brand, will definitely be trying these out. I love the Original Source mint shower gel so will have to try these, the coconut one looks like it would smell amazing.